Bi-Folding doors can create a whole new feel for your home, linking rooms together and seamlessly joining inside living with outside space. Versatile and aesthetically pleasing, bi-fold doors are the ideal replacement for existing patio or French doors to flood any room with natural light. Both stylish and versatile, bi-folding doors offer a revolution in the creation of open space – making stylish 21st century living a reality in virtually any home. But, bi-folding doors need to do more than look good, they need to be secure too. Unfortunately, the design of the locking hardware used on other bi-folds is actually far less secure than would be used on standard residential doors and French doors. Yet, home owners are unwittingly expected to pay thousands of pounds to have them installed, leaving their homes vulnerable to intruders. No Compromise – Superior Strength! Doors are at the heart of your home’s security, and we design our products to ensure the visitors to your home are only the welcome ones. 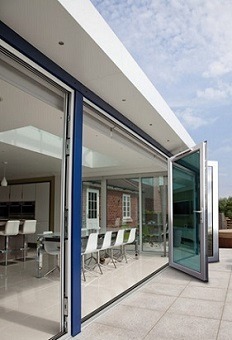 All of our bi-folds are designed and constructed to work as a complete system. Most other products differ as they are created by fixing together individual residential door profiles, which can produce inherent design flaws and areas of weakness that are detrimental to security performance. 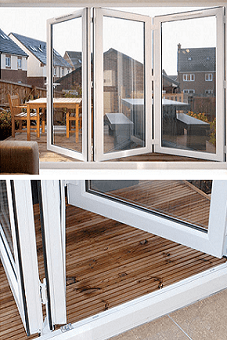 Another added benefit to our bi-folding doors are the fully retractable locks – making our doors extremely reliable and minimising costly call backs for adjustments to the doors to ensure smooth operation is achieved.